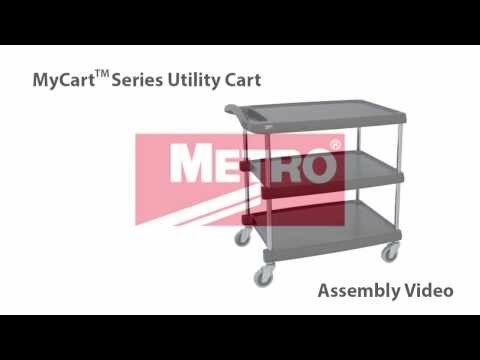 The Metro MY2636-35BL MyCart Series Utility / Bus Cart is designed for your transport needs, making every step count. This user-friendly cart comes with an ergonomic handle and additional legroom that puts more distance between the shelves and the user. Its utility tray is roomy enough to store every day objects and offers 2x the amount of space than traditional utility carts. Each cart comes with (2) labels for easy identification. The smooth, corrosion proof, polymore shelves have contoured edges that are designed to resist staining and wipes down easily. 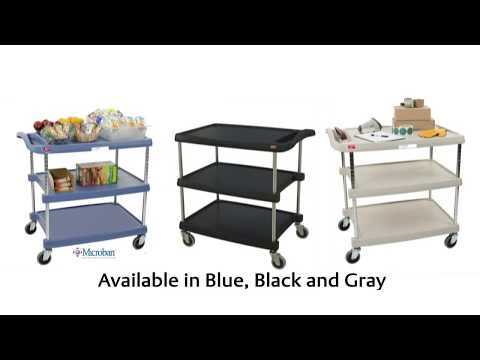 This open base cart comes with (4) swivel / resilient tread casters and (3) shelves with a 500 pound load rating per cart.